I love Yokohama. There is so much to see and do in this city. 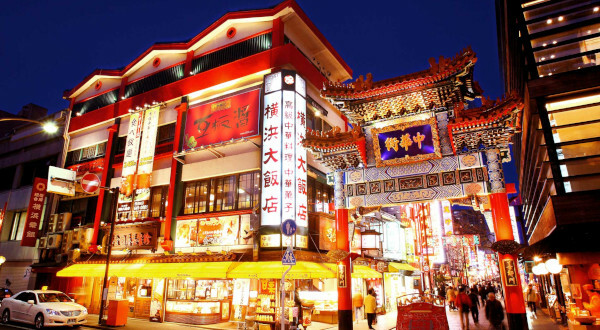 Well, I like Minato Mirai and Yamashita Park, but I’d have to say Chinatown is my favorite. Yes, there is so much energy and excitement there. Of course, I’m proud of Yokohama, since Yokohama is the city where I was born. Oh, really? So, can you recommend a good restaurant in Chinatown? I’m getting hungry. Actually, you probably know more about the good places that I do. I was born here, but our family moved to Sendai when I was five. A lot has changed. There is so much to see and do in this city. Can you recommend a good restaurant in Chinatown? Yokohama is the city which I was born in. This is the park where I go jogging every morning. My sister followed me everywhere (that) I want. Liverpool is the city where Chris lived a ages ago. This is the lake where I learned to water-ski. Think of a situation where you are in deep trouble. This is the place where I found the wallet.